PLYMOUTH Albion back Matt Shepherd flies out to Canada today with the England Counties squad on a high after helping Cornwall win back-to-back County Championship titles for the first time in their history. Shepherd scored 20 of the Duchy’s points in their 35-13 win over Cheshire at Twickenham on Sunday. He should have been celebrating the history-making moment back in his home town of St Austell, but on Friday received a late call asking if he wanted to tour Canada with England Counties. They are playing three matches against BC Bears, Praire Wolf Pack and Ontario Blues between June 3 and June 11. “I got called up on Friday,” said Shepherd, who was in the England Counties last season that toured Romania. “You can’t turn it down – it’s representing your country. I know I’m lucky someone pulled out and I get to go, but I’m happy to be there and I will give it my all. The England Counties team were meeting straight after the county finals on Sunday so Shepherd did not have much time to get ready, but, fortunately, he got some help from his girlfriend. “Ellie, my girlfriend, packed my stuff for me and brought it up to Twickenham,” he admitted. “She brought it up in a nice leopard print bag, but it was brilliant she was able to do it. 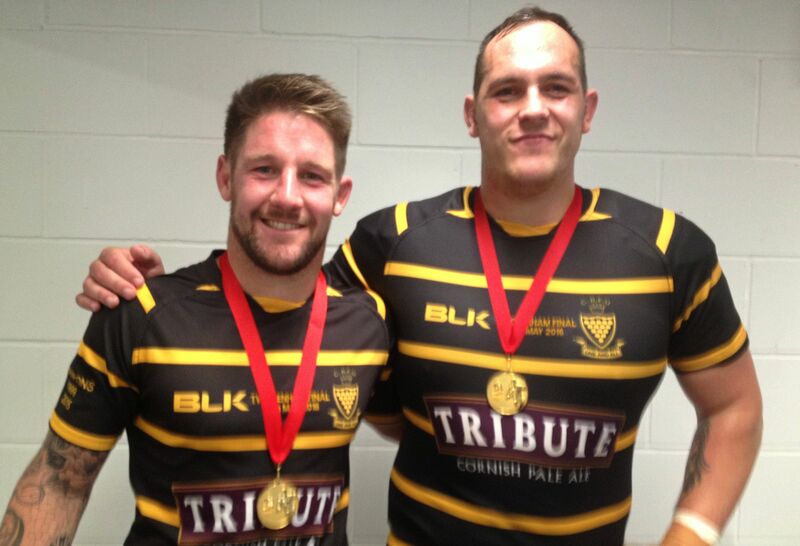 Shepherd was over the moon at helping Cornwall win consecutive county titles. He was one of nine Plymouth Albion players in their 22-man squad at Twickenham. On how it compared to winning it for the first time in 2015, Shepherd said: “It was amazing last year but this year we set some history. Shepherd had managed two tries last year and he managed to get over the whitewash again in the final minute of Sunday’s final. Shepherd missed out on really celebrating properly with his team-mates because of his England Counties call but he hopes to have his own celebration with them when he returns from Canada.